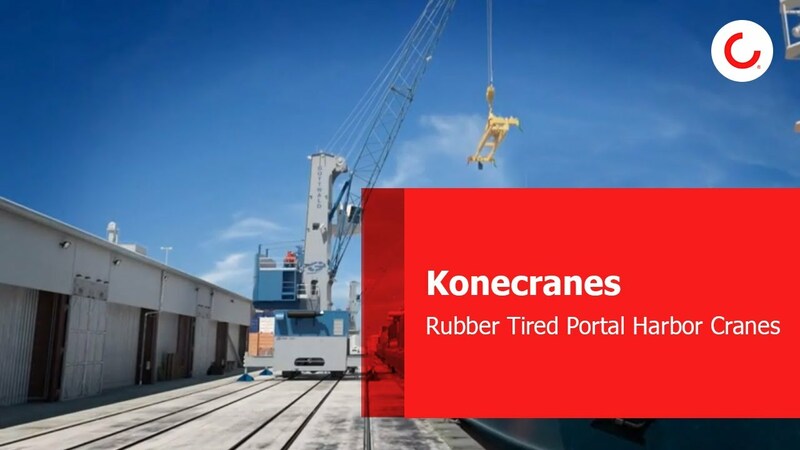 The Konecranes Gottwald Rubber Tired Portal Harbor Crane is a Model 2 crane that has been developed for narrow quays and confined quay installations. It offers good drive-under capability, so that other vehicles can keep moving unhindered. The Konecranes Gottwald Rubber-Tired Portal Harbor Crane is a variant of our Model 2 crane that has been developed for narrow quays and confined quay installations.